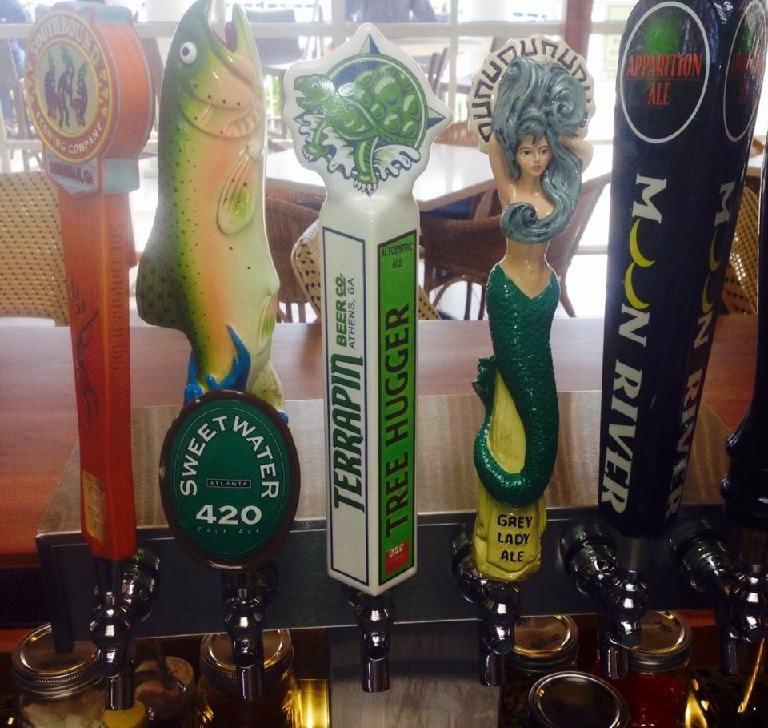 ECHO is proud to offer several local beers on tap at our bar. Apparition Ale from Moon River Brewing Company in Savannah, GA- This English pale ale features ingredients imported from the U.K. It has malt flavors of caramel and toast with a fruity English ale yeast character. 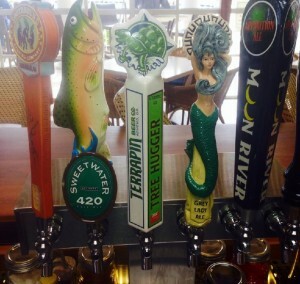 Tree Hugger Ale from Terrapin Brewing Company in Athens, GA- This ale is brewed for the nature lover in all of us. It is blossoming with flavor and celebrates the balance of both hops & malt. SweetWater 420 Extra Pale Ale from SweetWater Brewing Company in Atlanta, GA- Their most popular brew, this west coast style pale ale has a stimulating hop character with a crisp finish. Select beer from Southbound Brewing Company in Savannah, GA which is a relatively new brewery in Georgia. Stop by ECHO today for fine food & spirits with the best view on St. Simons Island!